All of the books I ordered for the library have arrived. I’m a happy camper. Each night I settle into my favorite comfy chair and read. 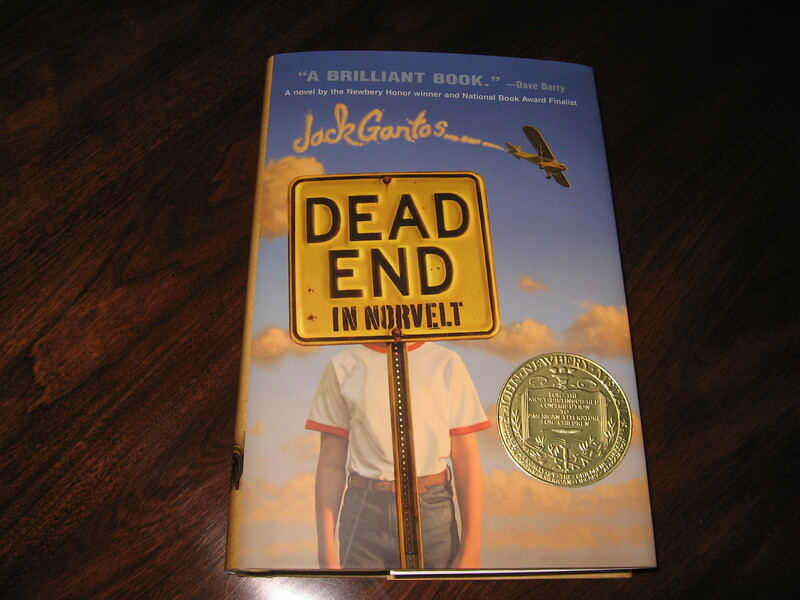 I finished the Newbery book, Dead End in Norvelt by Jack Gantos, and loved it. It’s filled with humor and sprinkled with tidbits of interesting historical facts. It also has the gross factor that is sure to delight some. Think spewing blood, old gnarly hands, dead people, and murder all combined to make a great story based on events in Jack Gantos’ early life. This is a great pick – especially for boys. 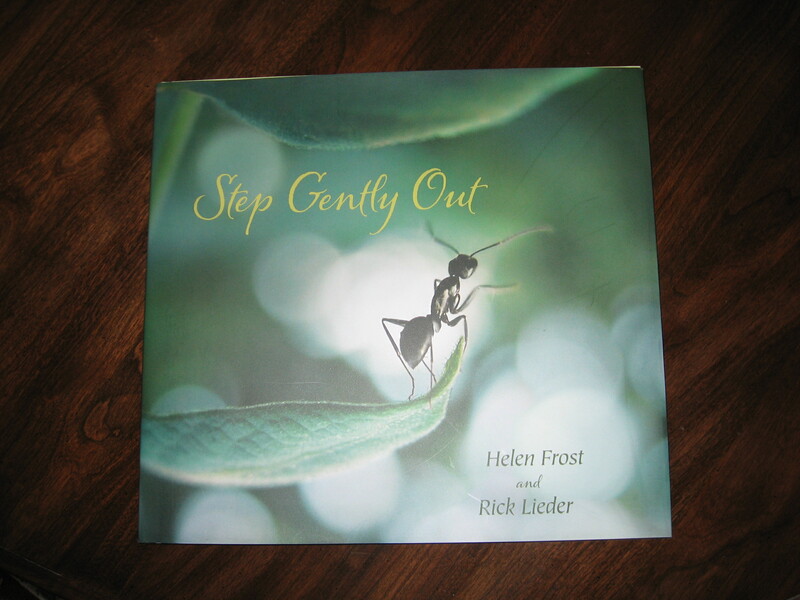 Another book I particularly enjoyed was Step Gently Out written by Helen Frost with photographs by Rick Lieder. It’s a picture book that combines Lieder’s gorgeous close-up photographs of tiny creatures accompanied by Frost’s sparse but lyrical test. The book includes back matter with the names and information about each of the featured creatures. Absolutely beautiful! Right now I’m busy reading Capture the flag by Kate Messner. History, mystery, and intrigue. So please, do not disturb. I’m busy reading. Summer vacation is here. It’s time to get down to serious reading business. The first book I’ve chosen is Keeper written by Kathi Appelt and illustrated by August Hall. I can see those lovers of children’s books shaking their heads, wondering why I haven’t read this book before now. In my pile of reading material, books get shuffled around. Some books that were on top end up at the bottom of the pile. Alas, that’s what happened to Keeper. Never fear. It has been rescued and is beside me this very minute, waiting patiently for me to open its magical pages. Keeper will be a keeper as I begin my summer reading adventures. Do you have a favorite middle-grade book to recommend?